In a Tom Kelly painting, it’s usually night, but it’s bright as day thanks to a brilliant moon and a surreal sky filled with shooting stars. Hearts are bigger than people. Sheep fly. It’s a world you want to step into. 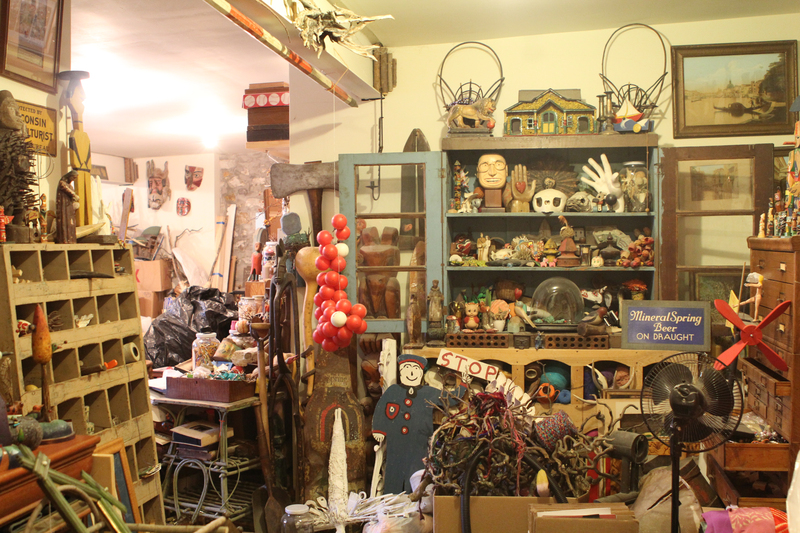 Since that’s not possible, the next best thing is to step into Tom’s studio in the backroom of the Longbranch Gallery. He calls it his lair. 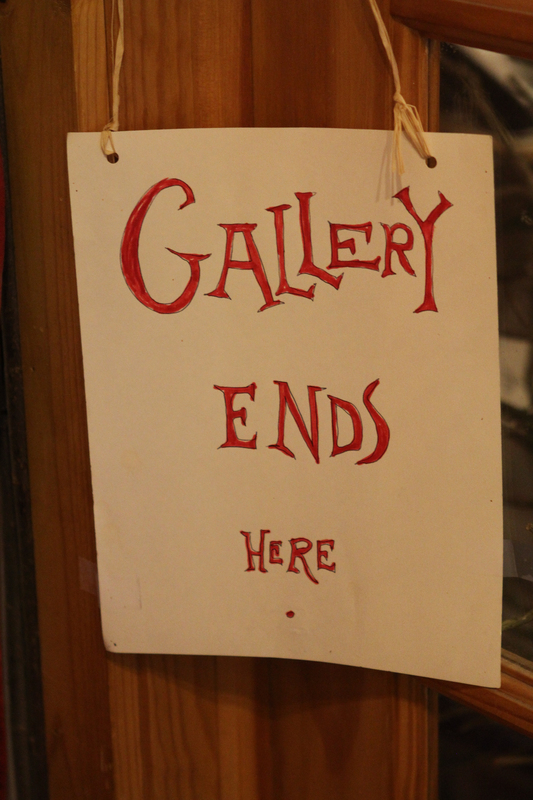 The sign on the door welcomes you to knock and shout for Tom. If he’s there, you’re in for a treat – a sensory overload treat. There is so much stuff you won’t know where to look. 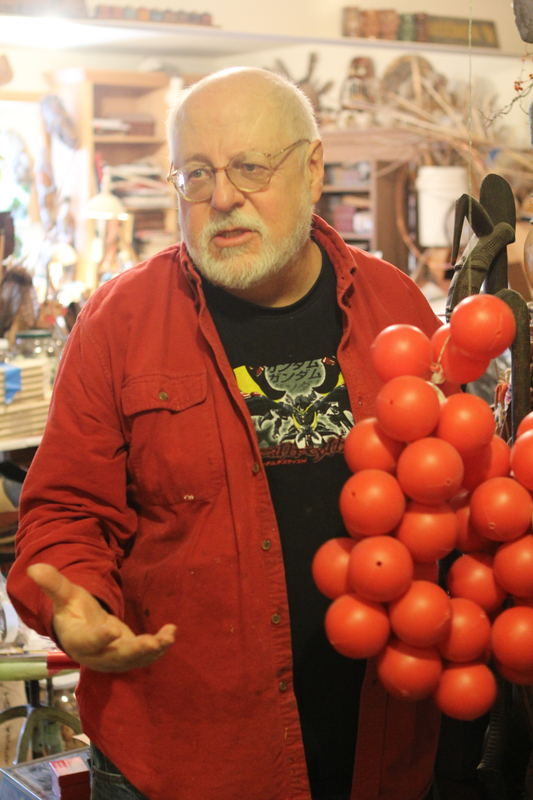 Tom said, “it’s important to know where an artist works.” And he gave us a tour. 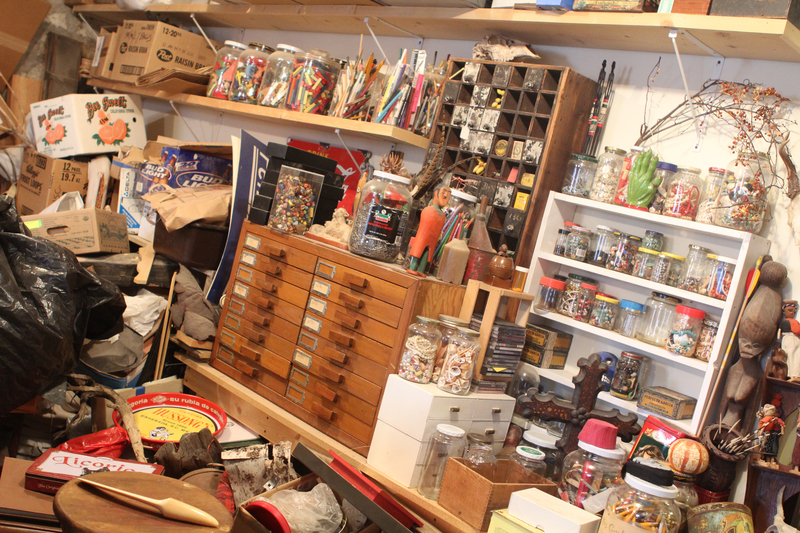 What at first it appears to be a giant mess, actually is organized with care, sort of. 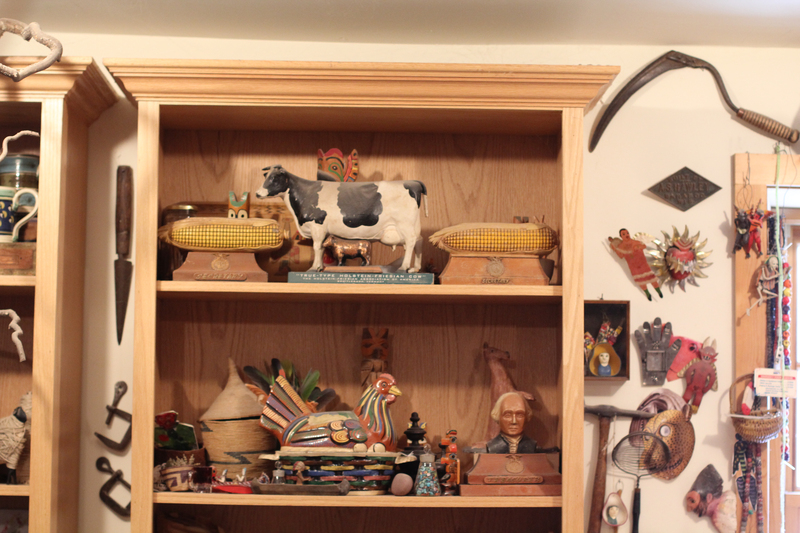 Tom has a story and a reason for holding onto each and every item in the room. He has trophies from his father’s day as a high school agriculture teacher in nearby Horicon. 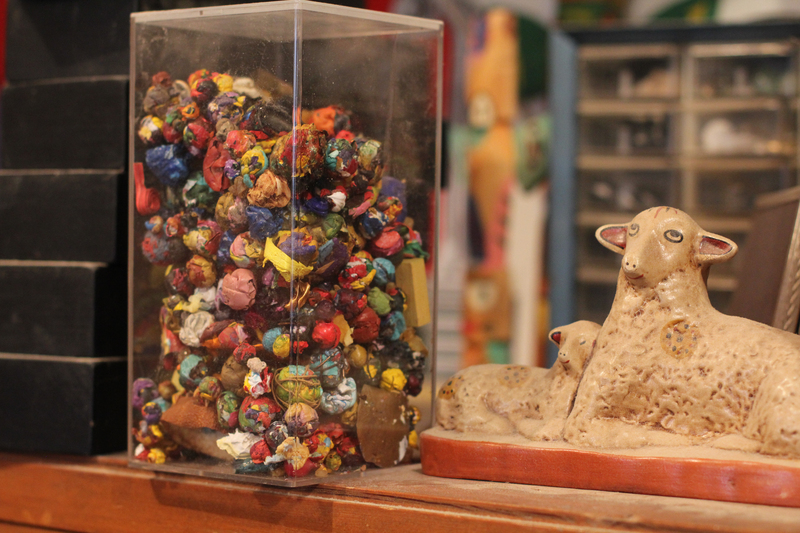 He collects all sorts of things such as these paint blobs . 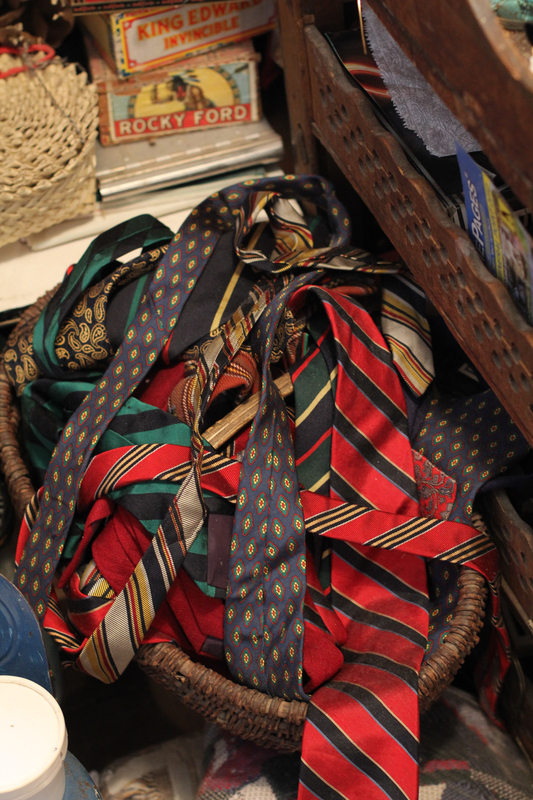 . .
and a basket of neckties . 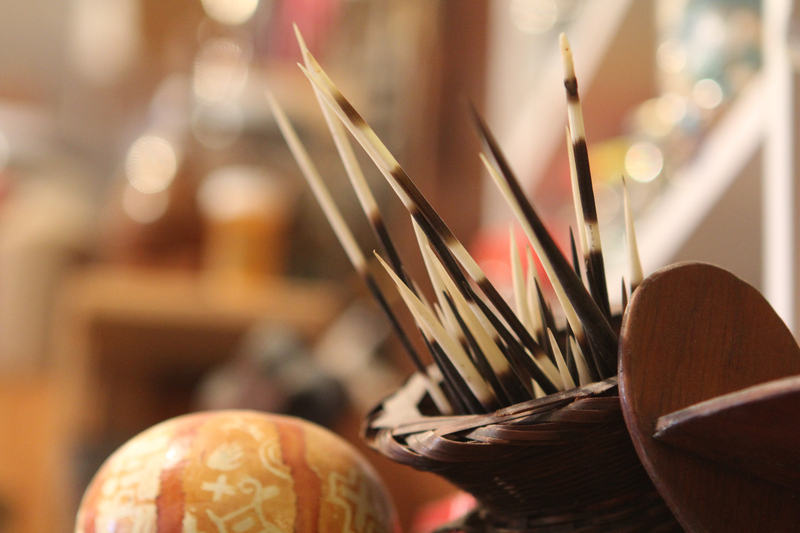 . .
African porcupine quills . 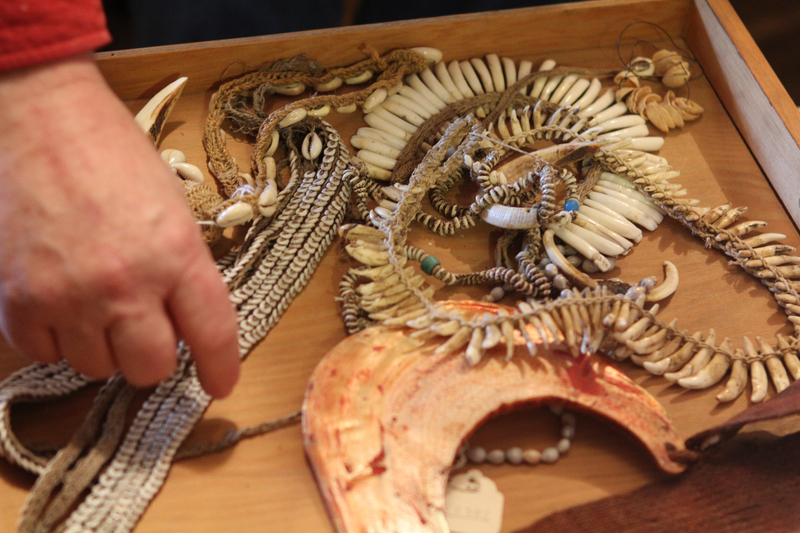 . .
and ancient New Guinea tribal necklaces, some made from dog-teeth. He likes things in jars. 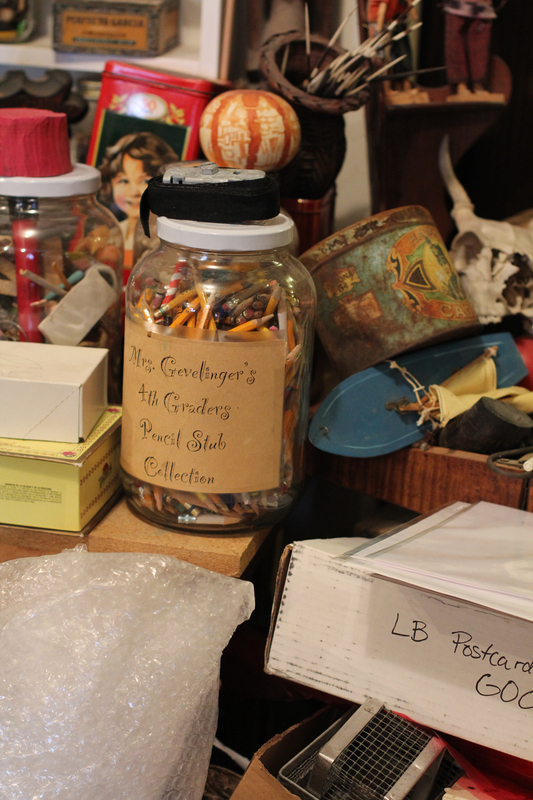 In fact, a few years back a Mineral Point teacher heard that Tom was looking for pencil stubs, so the class put their stubbiest pencils in a jar and presented it to Tom. His plan was to make a porcupine out of them. 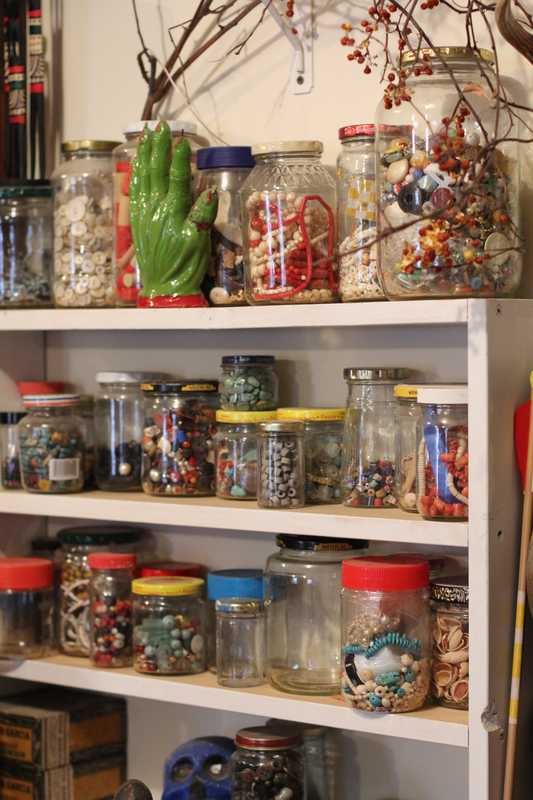 But, when the jar arrived it clearly was a work of art all on its own. He knows art when he sees it and he’s been collecting his whole life. 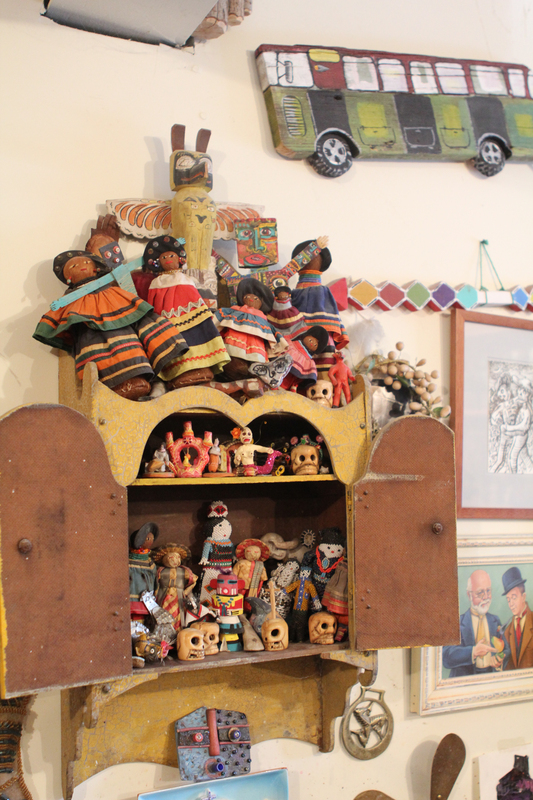 Among these objects Tom pointed out a picture of a monster he drew when he was in second grade. His wife Cathy had it framed. It might very well be the “Rosebud” of his vast holdings. 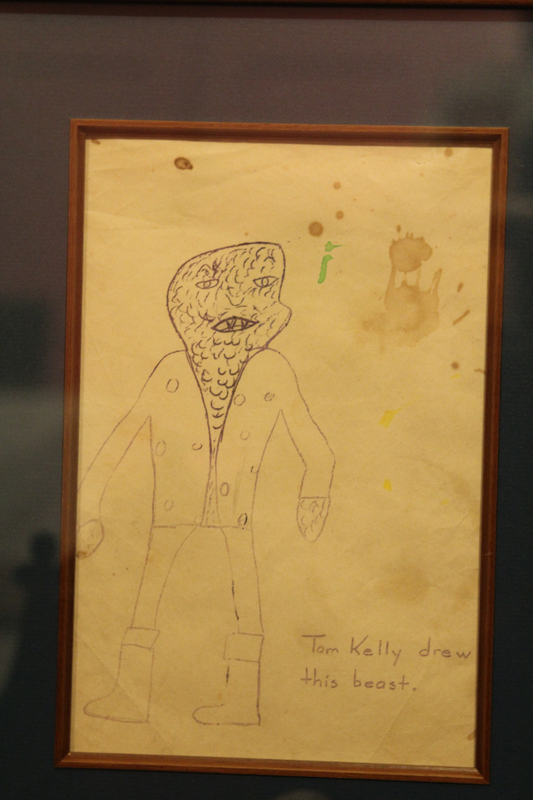 Tom’s teacher praised his abilities, showed it to the class, and wrote on it “Tom Kelly drew this beast.” This is when Tom knew he wanted to be an artist. 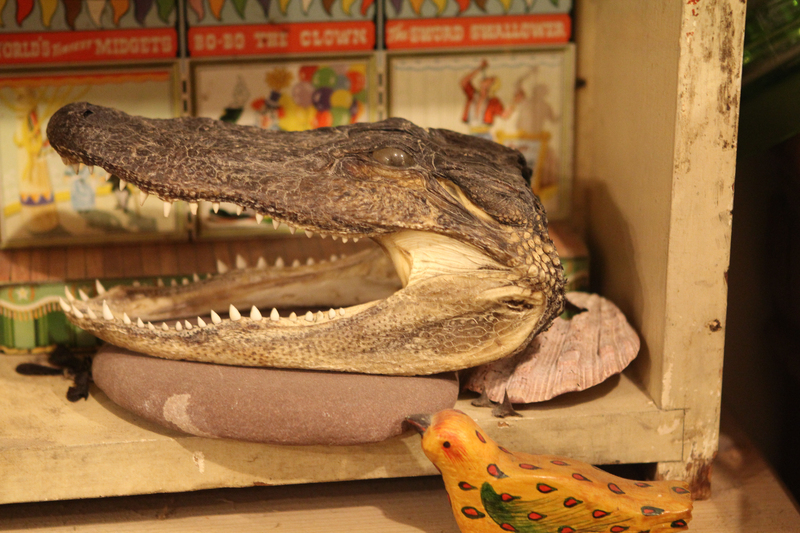 After spending time in Tom’s magical lair you gain a greater appreciation for the beauty in everyday objects. So, next time you visit the Longbranch Gallery, make sure to knock on Tom’s door and maybe he’ll give you a tour of the lair. This entry was posted in Art, People and tagged Longbranch Gallery, Mineral Point, Tom Kelly, Wisconsin. Bookmark the permalink. 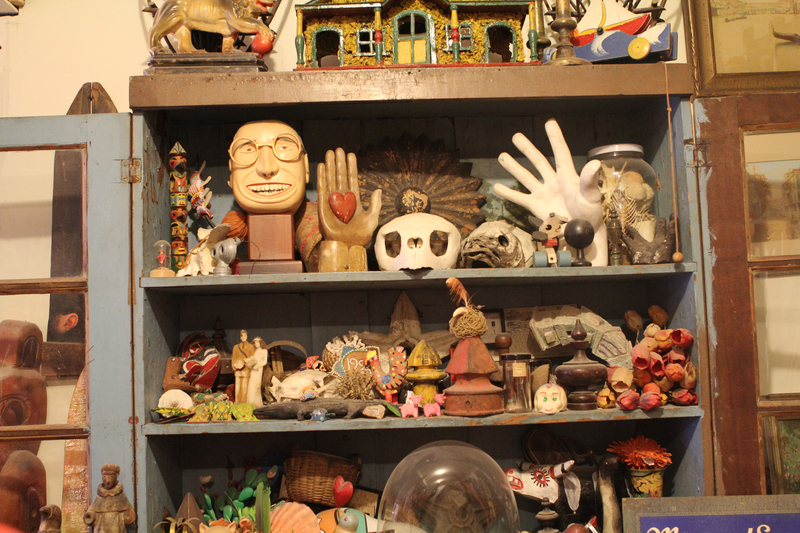 I too, have had the pleasure of visiting Tom in his lair on a few occasions, and have always left inspired to create or collect something. Tom is one of the true gems we have in this fommunity for several reasons. To know him, is to be inspired. In a world that finds more ways to say, “impossible”, Tom says, “why not?”. He has a jovial, inquisitive “can-do” outlook on life that is infectious. As you mentioned, he doesn’t just hole himself up and keep his gifts to himself, he shares it with anyone who asks. I am thankful for Tom, and thankful to live in Mineral Point. Whenever I am feeling uninspired or down, I go visit Atom’s lair, and realize once again that anything is possible if you just give it a try! Tom’s Lair is such a wonderful place to visit. It IS a work of art!!! He is what an artist is all about. Letting us know what he thinks and feels about the world..and…as we call see…he finds it a wonderfully interesting, happy place to be, thus, we go home feeling happy too. Way to go Tom!!! Our students are going to love you! 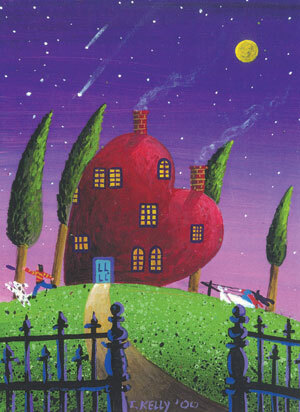 Tom Kelly……………who is this man of artistic nature? Is he crazy or genius? Hmmmmm? Where’d he get all of that stuff? Tom has had the whimsy and forethought to keep everything that we all wish we had kept from our childhoods in the days where we appreciated the magic in everything.